V.L. Jennings' Official Website- Exploring Human Potential, Soaring Among The Stars: A Perfect or Imperfect Future? Which brings me to my guest today! 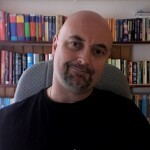 Simon Rose is the author of science fiction and fantasy novels for children and young adults. Simon’s books include The Alchemist's Portrait, The Sorcerer's Letterbox, The Clone Conspiracy, The Emerald Curse, The Heretic's Tomb, The Doomsday Mask, The Time Camera, The Sphere of Septimus, Flashback, and the recently published Future Imperfect. Simon, would you please tell us about your latest novel? Future Imperfect is an exciting technology-driven adventure featuring teenage geniuses, corporate espionage, and mysterious messages. In the novel, we’re introduced to Andrew Mitchell, who was one of the leading experts in highly advanced technology in Silicon Valley, until he vanished following a car accident, which also injured his son, Alex. 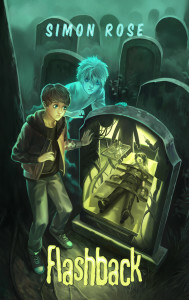 When a mysterious app later appears on Alex’s phone, he and his friend Stephanie embark on a terrifying journey involving secret technology, corporate espionage, kidnapping, and murder in a desperate bid to save the future from the sinister Veronica Castlewood. This sounds very exciting. Why do you think kids will enjoy Future Imperfect? I’m in all the usual places online and on social media but I’m also active in the local writing community and conduct book signings at local bookstores on a regular basis. This spring I was at the Calgary Comic and Entertainment Expo and connected with readers at schools and libraries in Montreal and Quebec City during Children's Book Week. Thank you so much for agreeing to stop by and share your work with my readers Simon! I want to wish you luck and congratulations on your new release! Just in time too! Many parents are hunting for some new books for their kids to read this summer! Readers- If you are looking for a new book- be sure to add Simon's to the list! They are certain to keep you entertained!